Here are fishing articles published by the COAF Field Team related to Trout Fishing in Oklahoma. 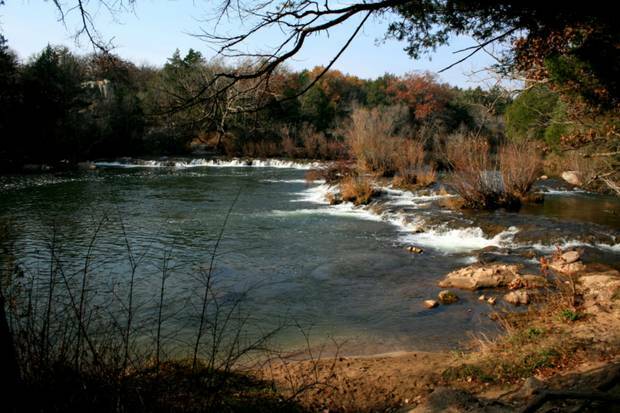 We hope the articles prove useful to our Texas Readers who opt to make the run North across the border to fish for Trout which include Rainbow, Brown, and Brook Trout on occasion! Blue River by Hughes Crossing: Suggested Areas for Rainbow Trout Fishing – This location offers an excellent opportunity for Rainbow Trout Fishing each year with weekly stocking planned starting November and running through March the following year. Better yet, it’s about two hours away from the Dallas-Fort Worth Metroplex. Lower Mountain Fork River – Trout Fishing Day Trip – This article provides details about a fishing day trip to Beavers Bend State Park by one of the COAF Field Team members. Cold front arrived in September, the urge to go trout fishing on a river followed shortly after… what to do, what to do… went fishing! 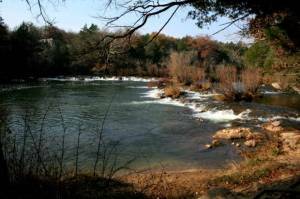 Turner Falls Park – Trout Fishing Day Trip – Turner Falls Park located in Davis, Oklahoma offers ease of access to Honey Creek where Rainbow Trout are stocked by the City of Davis. Different rules apply as well as an additional Day Fishing Permit is required. Regardless, it’s a great place to fish… do check out the 78′ foot waterfall and the castle while you are there, too!